No More Fumbling With Difficult Adjustments! 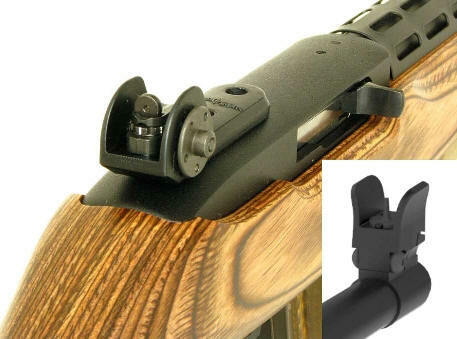 This sight upgrade for the 5800 models manufactured after 2005 and Ranch Rifles produced prior to 2005 adds a new dimension of adjustability to the venerable Mini 14 family of rifles. Fits 5800 Series Mini 14’s & Ranch Rifles Manufactured after 2005. 5805, 5806, 5814, 5817, 5846, 5847, 5848, 5853 & 5855. 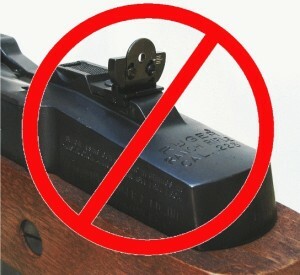 Q – Why does the Ranch Rifle manufactured before 2005 require a different Tech-Sight? 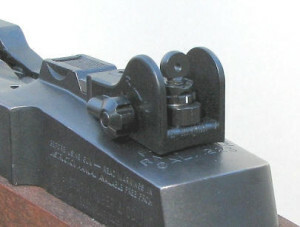 A – It uses the same MINI200 sight but requires an adaptor kit. Q – Do I need one of your tools to adjust the MINI200 or MINI200R sight and if so which one? A – The windage can usually be adjusted with your fingers and if it is a little stiff a penny in the slot of the windage screw will work. 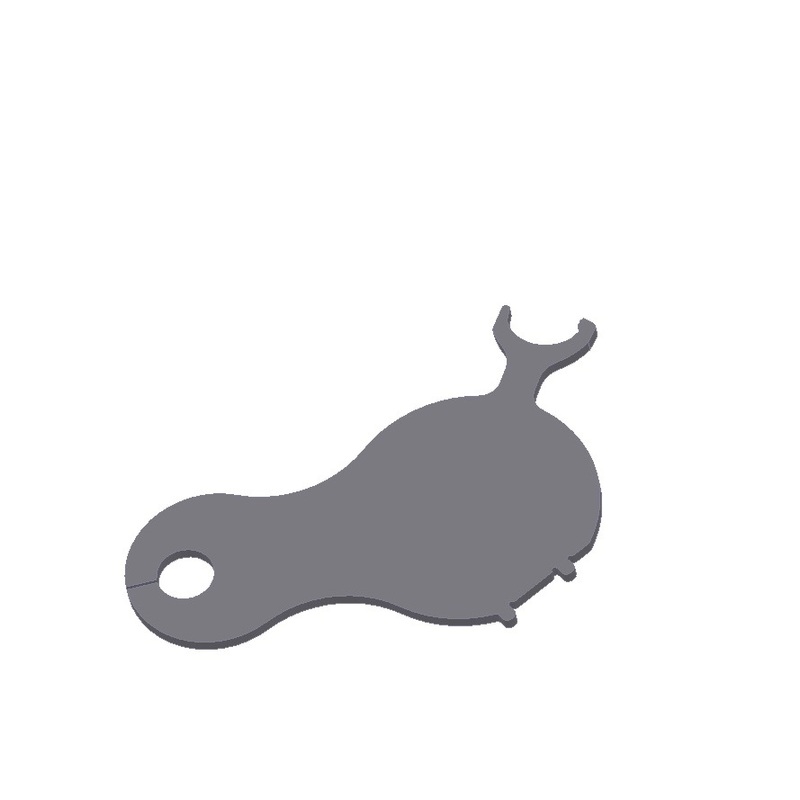 The elevation dial can be moved with a pointed object like the tip of a golf tee or bullet tip. The TS211 has a small spanner wrench on it that will work on the elevation dial and the windage knob so it makes the job easier. (See Accessories). Q – Do I need one of your tools to adjust the RR200 sight and if so which one? A – The windage can be adjusted with the knob on the left side of the sight. The TS211 tool will not work with the RR200 because the ears are too close together, but the elevation dial can be moved with a pointed object like the tip of a golf tee or a bullet tip. 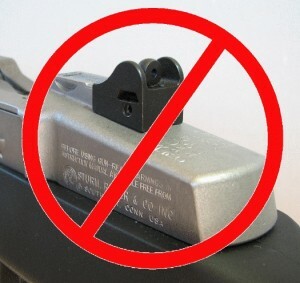 I have TSR100 sights installed on my 10/22 and was extremely pleased with the quality of design, ease of installation, and most importantly product performance. With this being said I ordered the Mini 200 as soon as I purchased my Mini 14 Tactical. Ordered the Mini 200 sight on a Sunday, received the sight on the following Wednesday and installed the sight in less than 5 minutes. Once again Tech Sights has produced a superior product! 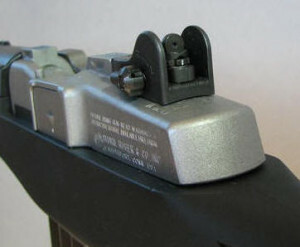 The ease of windage and elevation adjustment in comparison to the stock Ruger Mini 14 rear sight is nothing less than night and day. The sight picture improvement, target acquisition and improved grouping is no less impressive, as I had come to expect due to my experience with the TSR100 sights. Best investment for the Mini 14 aside from ammo. The bluing on the Mini 200 sight matches the bluing on my Mini 14 5847 far better than the stock Ruger sight! It looks as if the sight and receiver where blued together in the same process! 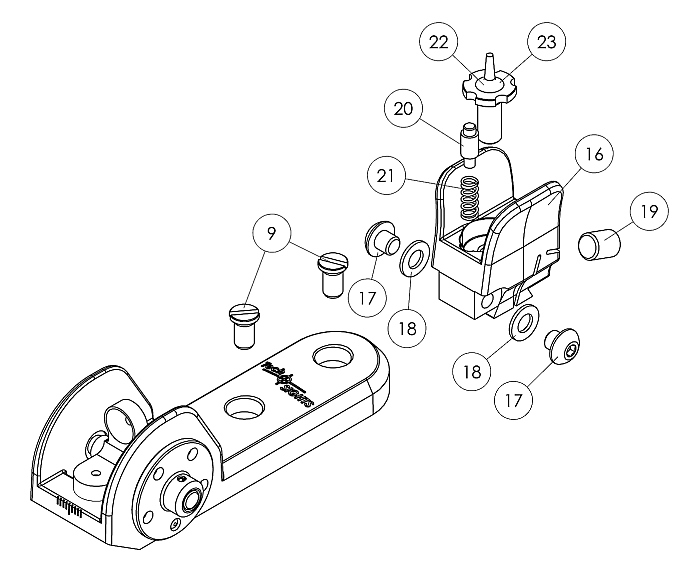 I also purchased the TS211 Adjustment Tool knowing that the spanner wrench should work for the Mini 200 elevation and believing it may also work for adjusting the windage knob. It did! The spanner wrench fit the windage knob perfectly, making both elevation and windage adjustment simple and quick. This is especially useful in cold and wet weather when gloves and slippery fingers have difficulty adjusting anything! Outstanding Products, Outstanding Customer Service! Keep up the great work! I’ve finally gotten to try out the new rear sight on my 1980’s Mini-14. The accuracy was just amazing! I didn’t think my rifle was capable of the groups I shot. Also, the install was easy with good directions.